The Kremlin started new economical blockade - now against Belarus. Import of 500 types of Belarus milk production was banned by the Kremlin. 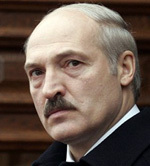 The chief state sanitary inspector Gennady Onishchenko has accused Belarus of breaking Russian laws but actually it is a punishment for Belarus' political and economical disagreement to the Kremlin will.